Marcus J. Ranum doubts the efficacy of cyber war. "This presents the cyberwarrior with a daunting problem: for the attack to have military utility it needs to be significantly large, but most importantly, it needs to be reliable. In the predominant cyberwar scenarios, cyberwar is construed as a force multiplier – i.e. : an adjunct to conventional meatspace operations. This, again, is nothing new; it’s what Napoleon Bonaparte would recognize immediately as another form of combined-arms attack. As such, the coordination between the arms, and their reliability on the field is paramount. The cyberwarrior has to scout a strategic target, map it out, at least partially penetrate its command/control systems without being detected, and maintain its strike capability for as long as it may be needed. In other articles and presentations I have offered skeptical arguments about the cost-effectiveness of such large-scale preparations." Look forward to more, lots to think about. But if enemy pulls router, then he has done your work for you, one of the objectives in a cyber war is taking the enemy off line. I don't think you need massive numbers of troops, just massive numbers of bots, from sources I've found reliable in the past confliker is NSA weapon, theoretically could be run by one person. Before stuxnet there was a mapping recon program, so Irans networks theoretically maybe already mapped. Its possible cyber IED's have already been planted, awaiting a specific date/time, in which case taking your router off line is ineffective. 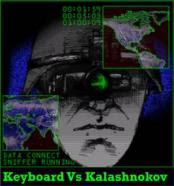 Cyber war may not be an adjunct of a meat war,a force multiplier but its only component. Stuxnet/flame have the capability for multiple war heads, Banking, phones,C2,Army,Air force, electric etc there in lies the potential to erase a cultures data base. Restricting every thing to snail mail, Stuxnet/Flame have finished large-scale preparations. "fall-back/redundant systems in place, or prepared to sequester their systems when they were brought under attack." If stuxnet/flame has already planted cyber IED's redundant, back up systems may have already been breached. Sequestering a system with cyber IED's already implanted could be a signal to trigger the munition. deleting key data bases, money, finances,stock exchanges could drop them back to 1860's. At any rate turn Iran blind deaf and dumb in a military sense while the Air Force pounds nuke facilities at their leisure. I suspect we are about to see a whole new application of combat in the newest domain. Look forward to rest of your articles.